Hello lovelies, I know my blog seems very mumsy at the moment, babies over load! 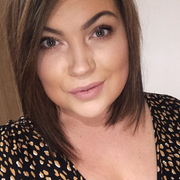 But I am trying to keep up to date with my beauty posts too and hopefully when I'm feeling a bit more confident I will post some fashion posts soon too. 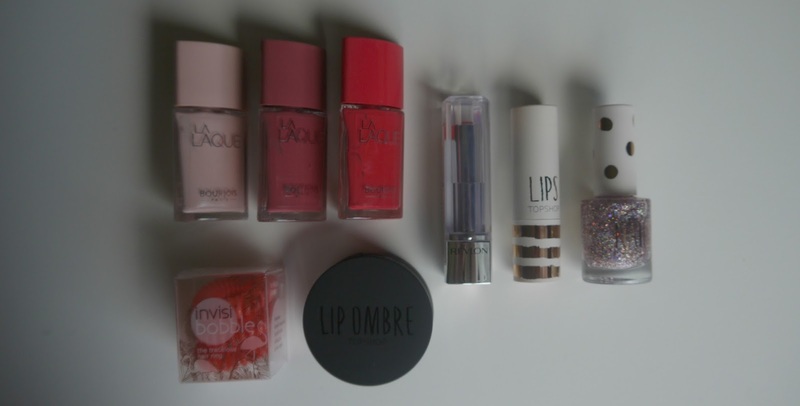 I went to Birmingham last week mainly to buy myself some new clothes but ended up kitting the boys out instead but I did get my hands on a couple of new beauty releases and some Topshop beauty bits! 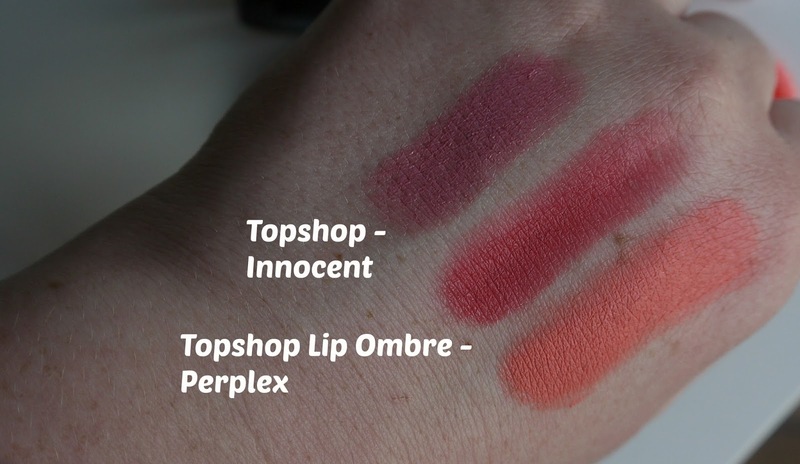 I have seen the Topshop Lip Ombre out for a bit and been very curious by it, I was tempted to pick them all up when I went in the store but perplex got my full attention so popped that in my basket, it has a gorgeous fuchsia pink with a peachy orange shade, I can't wait to have a play with that, then I picked up some invisibobbles as these are great for your hair and I loved the colour of them and of course couldn't leave without getting any of the five year celebration bits, the gold packaging is just stunning! I picked up the nail polish in shade adrenalin and the lipstick innocent, the lipstick is a perfect day to day wear shade and a good few hour wear out of it. After Topshop I then popped into boots, I was going to get the new Barry M blushes but wasn't blew away by them so left it, I am a massive fan of their nail polishes don't get me wrong but not so much a big fan of their make up so I was having a mooch and spotted these gorgeous new Bourjois polishes, I wasn't even aware of a new release but picked them up straight away! As it was 3 for 2 also it would of been rude not to indulge. They are about £7 and the formula is stunning, so opaque after just one application and fast drying, looking forward to seeing how long they last on the nails, it says long lasting online so I shall let you know. 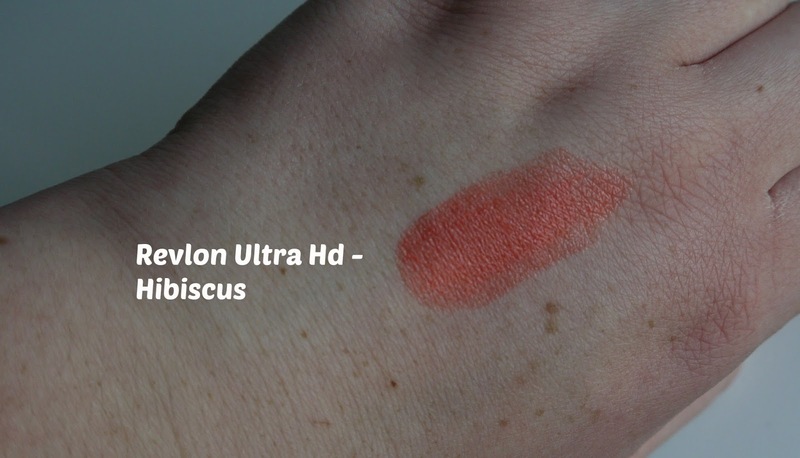 Then lastly one new release I did want to try out was the new Revlon ultra hd lipsticks, hibiscus caught my eye straight away and when I swatched it I fell in love immediately so had to get it, so glad I did it smells amazing, lasts a good long while and feels beautiful on the lips, will definitely need to invest in some more shades in the near future. 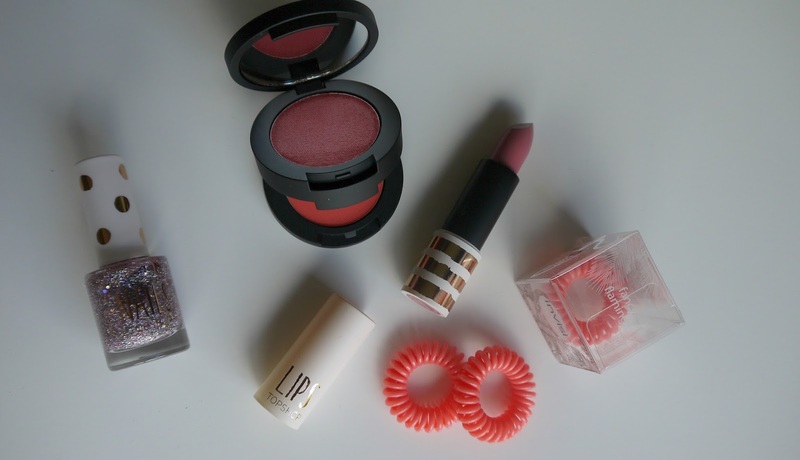 Have you picked up any new releases lately or just been treating yourself to new make up?